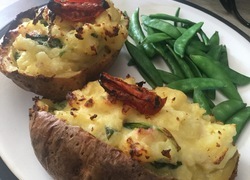 Easy, something different, as well as delicious, this recipe is great for any morning to get you going! Turn on the grill to medium. Put the coconut on baking paper on a tray and toast, shaking it regularly as it burns easily. Toast it for about 2 - 3 minutes till it is starting to brown. Keep a teaspoon aside, and put the remaining coconut in a small saucepan with the milk. Bring to the boil and boil gently for about 5 minutes. Allow it to stand for a few minutes, and then strain the coconut, discarding the solids. Put the milk back in the pot with the oats and bring to the boil. Reduce the heat and simmer, stirring for about 5 - 7 minutes or until the porridge is creamy. Sprinkle with the coconut sugar, and add the reserved coconut. Add the sliced banana, and serve. Do you have a favourite type of mango? 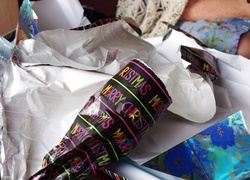 Do you keep wrapping paper given to you on presents? 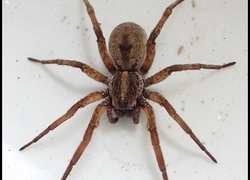 Do you have a lot of spiders in and around the house?